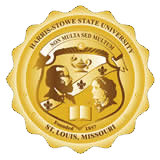 Harris-Stowe State University is extremely proud of its graduates and their professional accomplishments. HSSU graduates are changing the world and making a name for themselves in various industries. Via LinkedIn, we are able to keep up with our graduates and track their career progression, no matter where they are located. Please note: The data compiled in this report only includes those alumni that have opted to connect with Harris-Stowe State University on LinkedIn.